A lottery launched this week for five newly constructed, middle-income units in the Bronxdale/Allerton neighborhood of the Bronx. 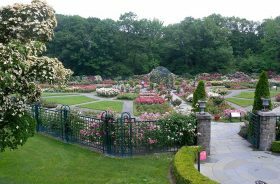 Located at 2953 Barnes Avenue, the four-story building sits just over a mile from the New York Botanical Garden and the Bronx Zoo, making the trip just a five-minute car ride or 20-minute bus ride. Qualifying New Yorkers earning 130 percent of the area median income can apply for the units, which range from a $1,375/month one-bedroom to a $1,575/month two-bedroom.